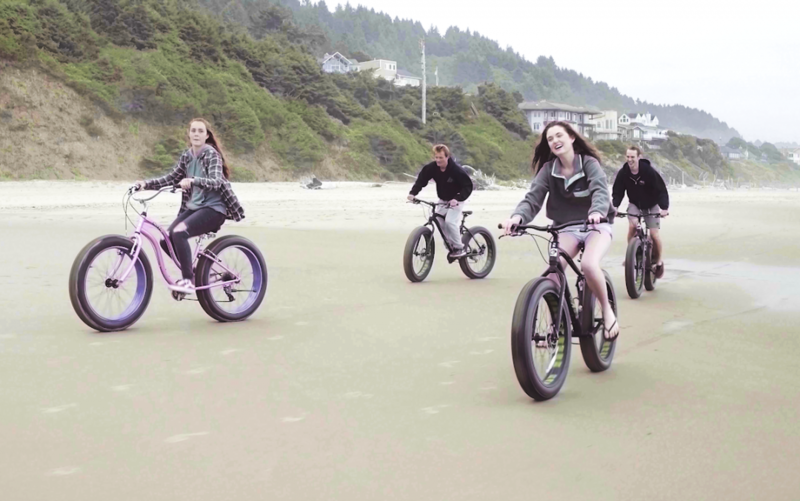 Fat biking is rapidly becoming more and more popular on the Oregon Coast. If you haven’t experienced fat biking yet you really should give this a try. 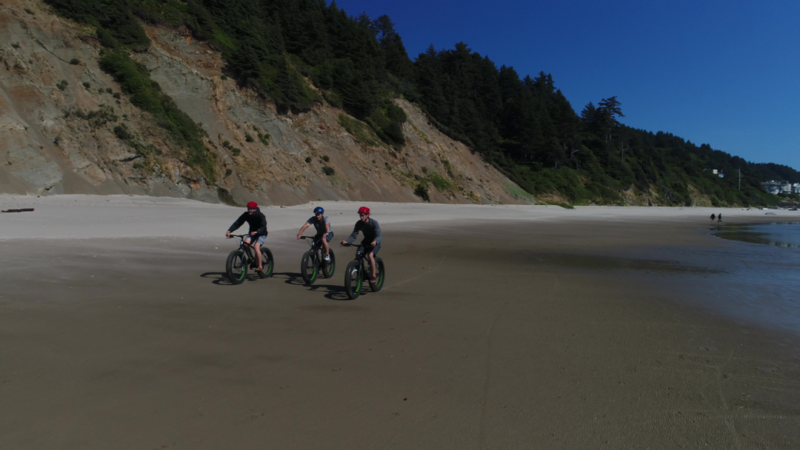 The Roads End Fat Bike Beach Ride Lincoln City Oregon is a great beginner ride. No need to transport the bikes. You can start this ride right from Safari Town Surf Shop. It’s an exhilarating experience riding a bike right next to the pacific ocean. Find out what everyone’s raving about. Rentals start at just $20/ hour and Safari Town Surf Shop is the perfect starting point for the Roads End Beach Ride. Cross U.S. 101 at the lighted crosswalk and take a left on 34th street toward the beach. Head north on the beach toward the headland (Roads End Point). Make sure to check out the tide pools at Roads End at lower tides. Once you’ve made it to Roads End Point, you will then turn around and head back. Feel free to take a break here and enjoy the beautiful scenery! You’ll know you”re at the end as the beach will give way to a rocky headland. How difficult is it to ride a fat tire bike on the beach? Posted in Things to do in Lincoln City Oregon and tagged Fat Bike Rentals, Fat Biking the Oregon Coast, Roads End Fat Bike Beach Ride Lincoln City Oregon, Things to do in Lincln City Oreogn.